Cooler Master reveals its new Extreme II power supplies. The Extreme 2 series will be available in 475W, 525W, 625W and 725W editions for $49.99, $54.99, $74.99 and $94.99, respectively. Cooler Master, an industry leading chassis, thermal solution, peripheral, and accessory manufacturer today announces its new, more powerful, Extreme 2 Series of power supplies. Operating on a powerful dual +12V rail system, the Extreme 2 Series makes itself perfectly suited for powering multiple graphics cards and other demanding system components. This is achieved through the inclusion of higher quality components and process improvements that allow for higher wattage and amperage loads that result in increasing each models overall value to our users. 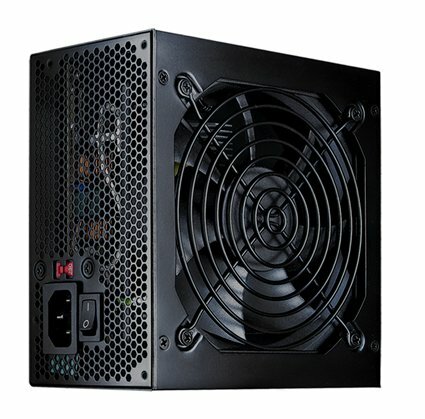 The Extreme 2 Series features world-class safeguards that consist of multiple over power protections which help prevent unfortunate home electrical issues from reaching your computer system’s vital components. Ensuring a long operating life, Extreme 2 Series power supplies include highly durable capacitors with heat resistance of up to 105℃ (221F). These safety measures and quality components ensure that the power supply will remain operational for years to come. Should anything make it through these, users can rest assured knowing that our Extreme 2 Series is covered by a solid 3 year warranty.